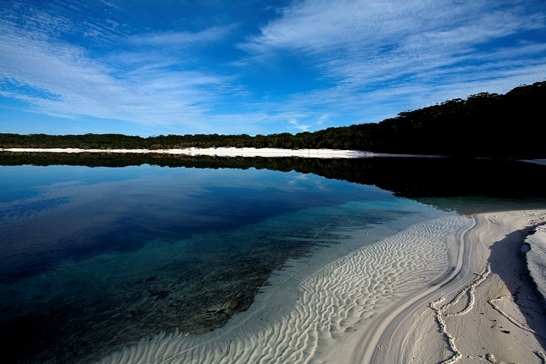 We’d spent the day in the car exploring every inch of the natural island paradise that they call Fraser Island. So after seven years of mancations to Fraser Island I decided to finally join him on a trip, I jumped in our 4WD (along with our 15 month-old) and really experienced Fraser Island. The four wheel driving was an adventure within itself the tracks were well maintained and signposted, it was an adrenaline rush within the confines of safety. 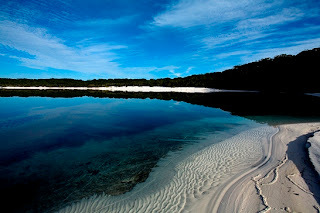 Once on the road, well sand, we swam in Lake McKenzie for hours, floated out to the beach in the crystal clear waters of Eli Creek, walked through the stunning rainforest at Central Station and picnicked beside the Champagne Pools at Indian Head. I was impressed ten times over, and I now wished I’d done it years earlier. Fraser Island is a beautiful place on all levels and trust me when I say that it is a destination that you have to experience and if you have overseas friends visiting get out their to-do list and put Fraser Island at the top. It will be the highlight of their trip, I promise. We stayed at Kingfisher Bay Resort and I instantly felt at home. Our spacious room looked straight out to the ocean and with ramps everywhere it made getting around with a pram super easy. While I loved the room and its view, the heated pool and stunning common areas at Kingfisher Bay Resort I’m not deep when it comes to accommodation, if it’s clean and the staff are friendly then I’m happy (I do love camping you see) so I tend to measure a resort by its food and Kingfisher Bay Resort received a shiny big gold star in my books. We ate like KINGS at the buffet breakfast both mornings and the overflowing fresh seafood buffet dinner was so good I literally could not move for 15 minutes afterwards, I’m having flash backs to the Moreton Bay Bug induced food coma writing this! On our final night we had wines and a cheese platter on the jetty followed by wood-fire pizza. And they say that the secret to a man s happiness is through his stomach? I was in love. 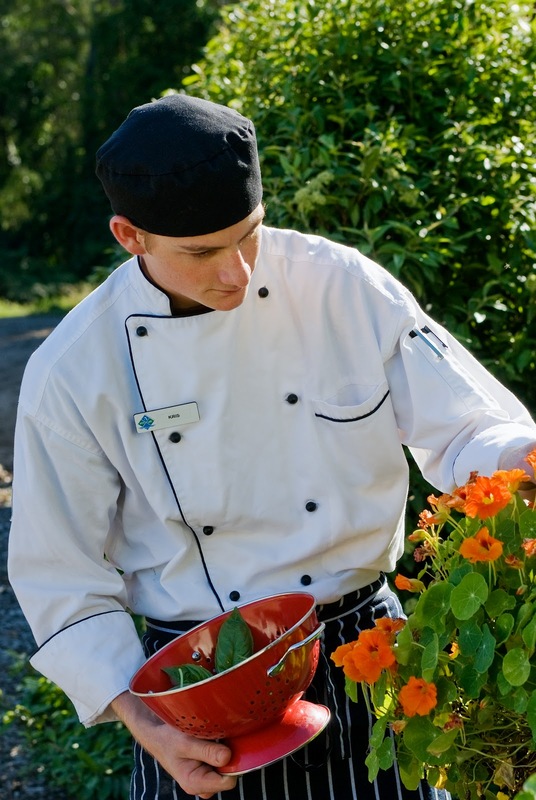 But a firm highlight of our trip for me aside from the amazing fishing gutters (between you and I, I have no idea what I was looking at other than the ocean) was the Kingfisher Bay Resort Bush Tucker experience. Hosted by Kingfisher Bay’s chefs from their signature restaurant Seabelle (which sadly was undergoing renovations when we were there) and a ranger Jermaine who’s indigenous ancestors used to call Fraser Island home, the bush tucker experience is intimate, we were one of five couples. Not only did we taste an array of native seeds, herbs and plants but we left full of knowledge about what native plants the indigenous Australians used each day in their cooking. Kingfisher’s Seabelle restaurant incorporates many local native ingredients into each of their dishes; the thought process behind producing basic foods with a native food twist was impressive. Clear highlights were – jam infused with quandong or ‘desert peach’, panna cotta with lemon myrtle picked straight from a small native garden and herb farm on the Island, relish with bush tomatoes and lillypilly and my all time favorite pesto with bunya nuts was divine. Now as a vegetarian (pescitarian to be precise) the low-fat meats such as kangaroo, emu and crocodile steaks that were offered were wasted on me, not so my husband who happily snapped up my share with rave reviews, but the fresh prawns covered in aniseed myrtle and the barramundi baked in paperbark was swoon-worthy. Aside from being a tutorial into native deliciousness the hour-long Bush Tucker class is fun and entertaining with the banter between the ranger and chefs keeping us in constant hysterics. I left feeling full of good food and interesting facts. Next trip I’m adding the Seabelle’s bush tucker-inspired degustation menu, which I’m told contains countless delights including the freshest of Queensland’s famous seafood and Australian wines, to the top of my to-do list… oh along with finding amazing fishing gutters.